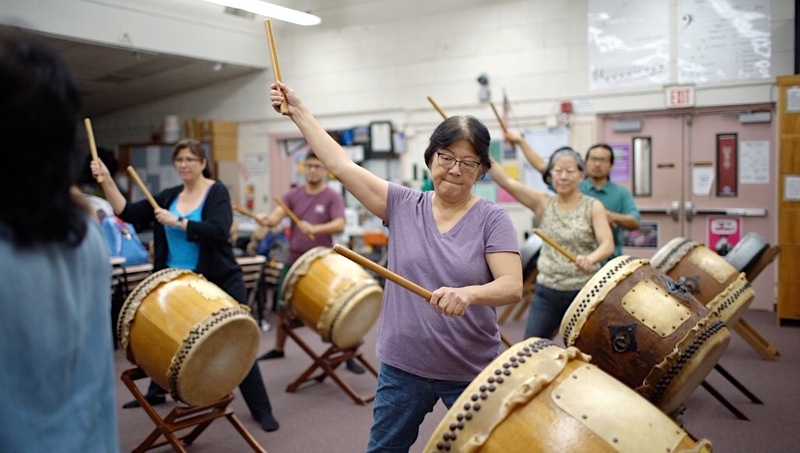 Eileen Chiwa is one of 12 students in the Taiko class for the deaf and hard of hearing. Photograph by Kaycee Nakashima ('20). 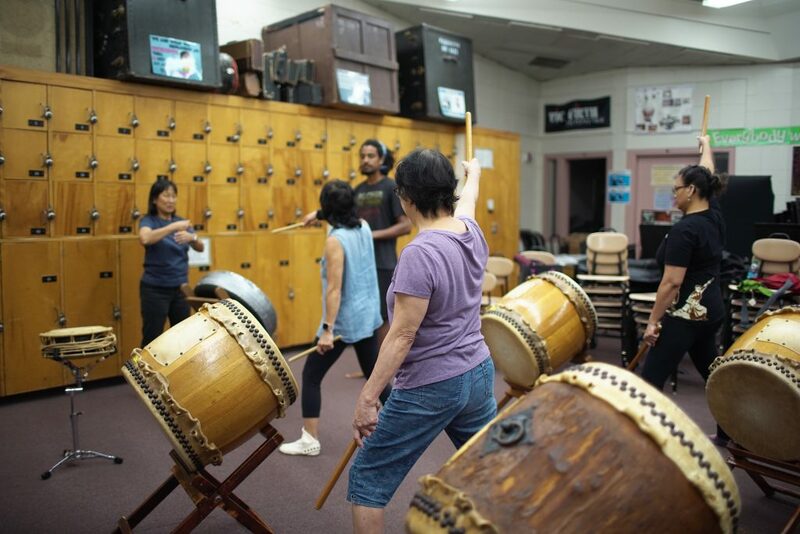 The Taiko Center of the Pacific (TCP) is a school of traditional and contemporary Japanese drumming in Honolulu. Though you wouldn’t expect it at a music school, TCP offers a class to deaf and hard of hearing adults who want to learn how to play Taiko. 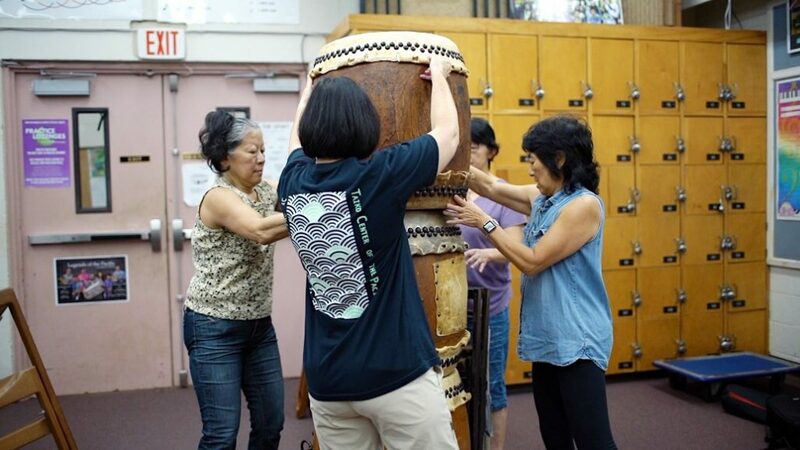 Chizuko Endo, wife of Taiko master Kenny Endo sensei, leads this unique class every Sunday afternoon. There are currently 12 students in the class, which is tailored to provide visual cues to the students. Students learn technique, movements, and rhythmic patterns with the help of Chizuko Endo, an assistant, and a sign-language interpreter. This innovative approach gives those who can’t hear a chance to enjoy the art and to show off their talents to the community. 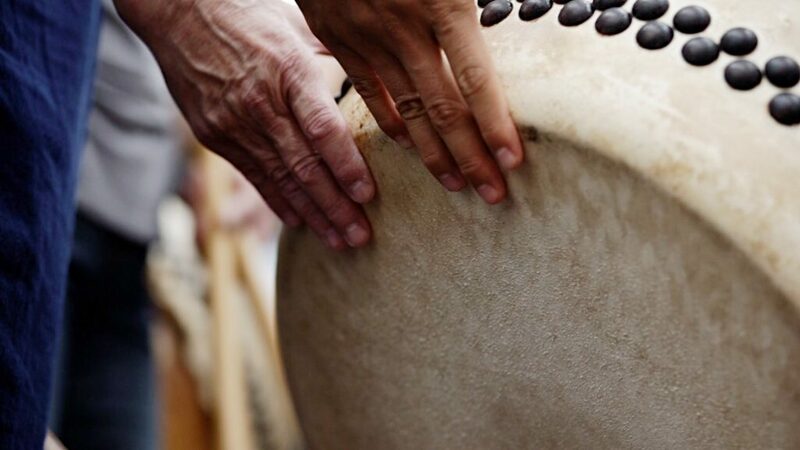 Students “hear” the beat of the drum by using their hands to feel the vibrations. Photograph by Kaycee Nakashima (’20). Students practice patterns from “Hiryu Sandan Gaeshi” by following Chizuko Endo’s (in light blue top) lead. At the front of the class is a sign language interpreter, communicating verbal instructions from Chizuko Endo to the class. Photograph by Kaycee Nakashima (’20). 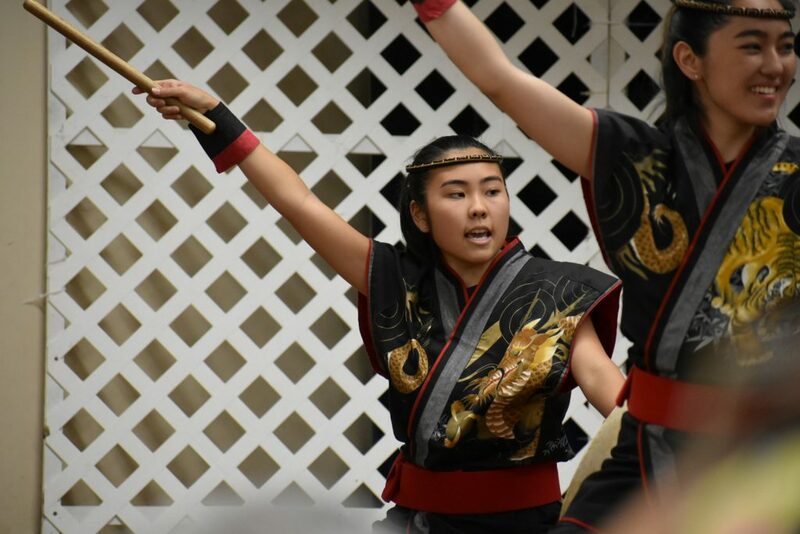 The students in this class put their heart, soul, and body into doing what they love every week and aren’t limited from being Taiko drummers. For student Eileen Chiwa, being able to play the drums is a dream come true. “I would watch Taiko drummers and I would feel like ‘I wish I could do that too!’ It was just a wish and I didn’t think it could really happen. Now it’s a reality and I’m so stoked about it. 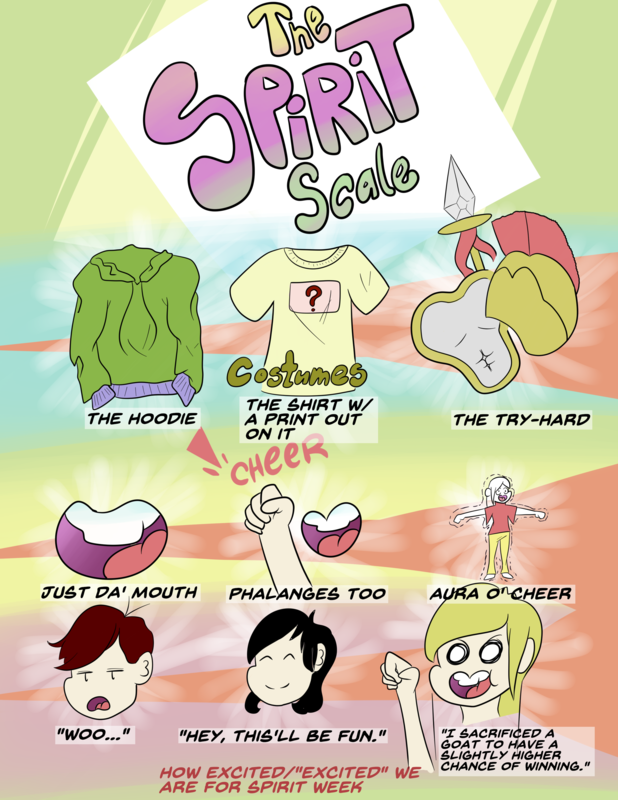 It’s just so exciting,” she said. Once class is finished, students stack the Chu-daiko and Naname stands, and put it away for the next practice. Photograph by Kaycee Nakashima (’20). Kicking off the New Year, Taiko Center of the Pacific’s Youth Ensemble group performs at Makapu’u Lighthouse for the first sunrise of 2018. I am in the front row, second from left. I distinctly remember how exhausted I was that day from waking up at 3:00 A.M. to perform and how cold I was because of the ocean breeze. However, playing the drums kept my adrenaline rushing and got me through the performance. Photo courtesy of Dan Dennison. Most kids played basketball, danced, or learned to play an instrument like piano when they were younger. 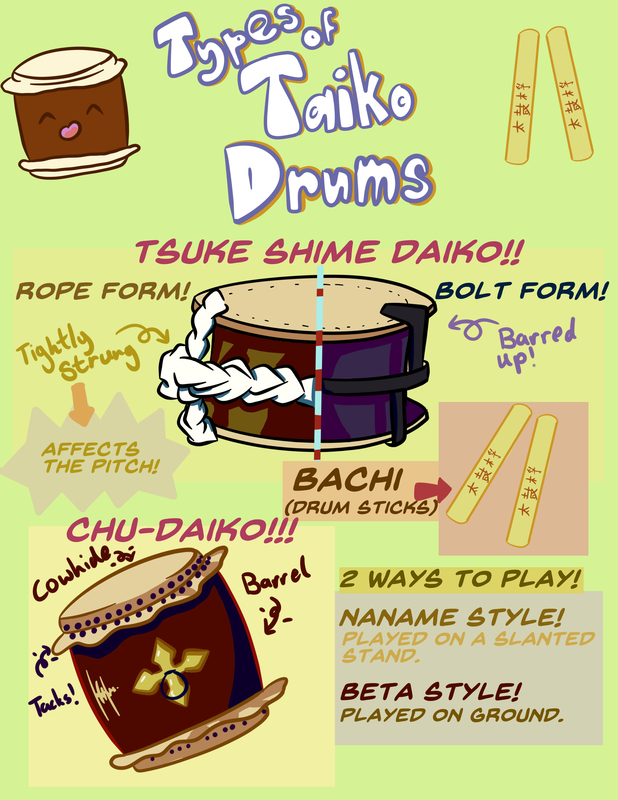 I played Taiko. For as long as I can remember, I’ve been holding a pair of bachi (Taiko drumming sticks) and kiai-ing (or shouting). Every New Year’s, our family would go down to Ala Moana Shopping Center’s Centerstage to watch the legendary and world renowned Taiko master Kenny Endo perform with his ensemble. It all began when we moved to Kauai when I was eight. During the fall break that year, my mom signed me up for a Taiko class. Prior to the class, I had never touched a pair of bachi, let alone play the drums. I tried it out and I fell in love with it. 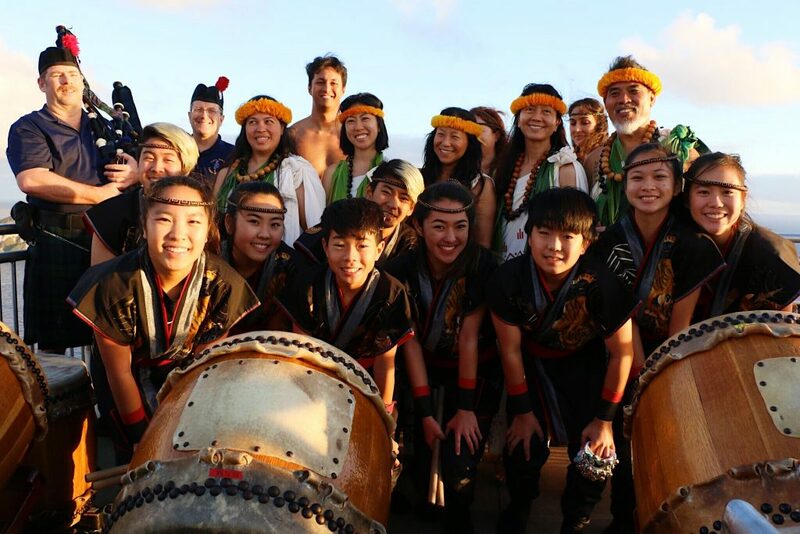 Three months later, I attended my first practice with a group based in Hanapepe, Kauai called Tsunami Taiko. 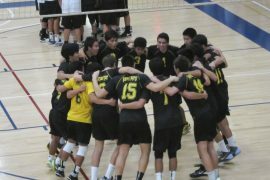 For six years, I played with them until we moved back to Oahu. 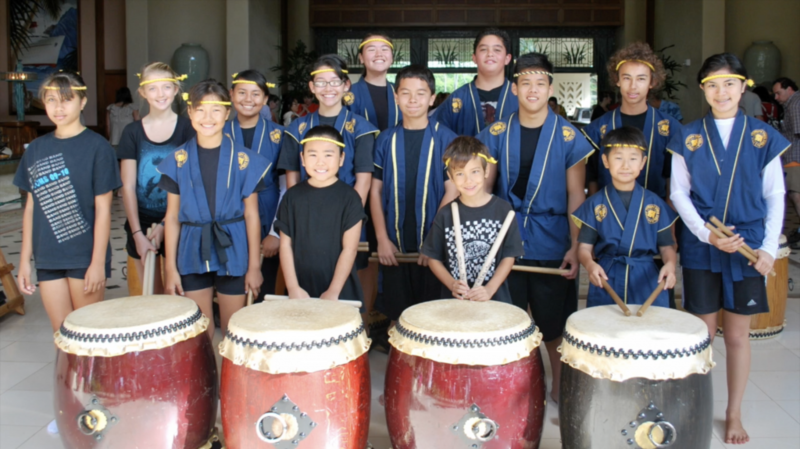 This is my first Taiko performance at the Grand Hyatt Kauai Resort with Tsunami Taiko in 2010. I’m the little 8-year-old girl in the front row, wearing the plain black shirt. I had yet to earn my very own hapi—the blue coats in the photo—which is only worn by experienced Taiko drummers. Even though I appear composed in the picture, I was actually intimidated and scared to play alongside these experienced players. Photo courtesy of the Sheri Nakashima. 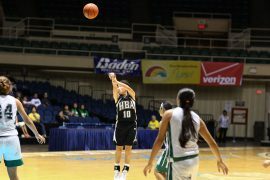 It was 2016 and I was an incoming freshman at HBA. 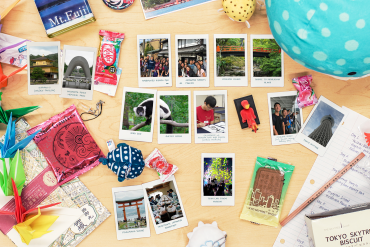 That summer, my parents signed me up for classes at Taiko Center of the Pacific (TCP), where I worked hard to become a member of the selective Youth Ensemble Group. In 2018, I officially became a member of the ensemble. I never would’ve thought that I would be performing under the guidance of Kenny Endo. Taiko has been a part of my life for eight years now and it’s hard to imagine life without it. Not only is it a hobby, but it’s also my safe place and what I’m most passionate about. 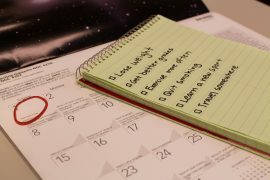 Last year, I noticed that there was a class at the center for the deaf and hard of hearing. I found it fascinating that a music school would offer such a class. It piqued my interest so much that I knew I had to cover the story behind the class. I wanted to use my knowledge on Taiko and documentary filmmaking to dig deeper into what TCP was doing for the deaf community. Through this short film, I wanted to bring their stories to light. I believe that it’s important to tell stories that people can’t tell for themselves. I believe that everyone has a story and that no matter how big or how small your talent or skill, you can make an impact on others. Take me for example: I was uneducated on the deaf and hard of hearing community prior to making this video. I now have a better understanding of how they see the world and how they make the most of what they have. I learned that being deaf doesn’t limit them from being performers. It’s so inspiring to see them persevere. Their love and passion for the art definitely shows through their playing. They show the Taiko community and everyone watching that anything is possible. This is one of the many performances I participated in as a Youth Group ensemble trainee. We were dressed in dragon hapi coats, parachute pants, and tabi. Photo courtesy of the TCP Youth Ensemble. I am eternally grateful to my parents for encouraging me to play Taiko. If not for them, I wouldn’t be playing for Kenny Endo, and I wouldn’t have found my passion for drumming. With every hit of the drum, my love for taiko grows stronger. Taiko has made a huge impact on my life and I plan to play for as long as I can.